Huffer are making shopping a little easier this Thursday with brews at their Bondi store. Don’t mind a chat? Keen for a couple of free beers? 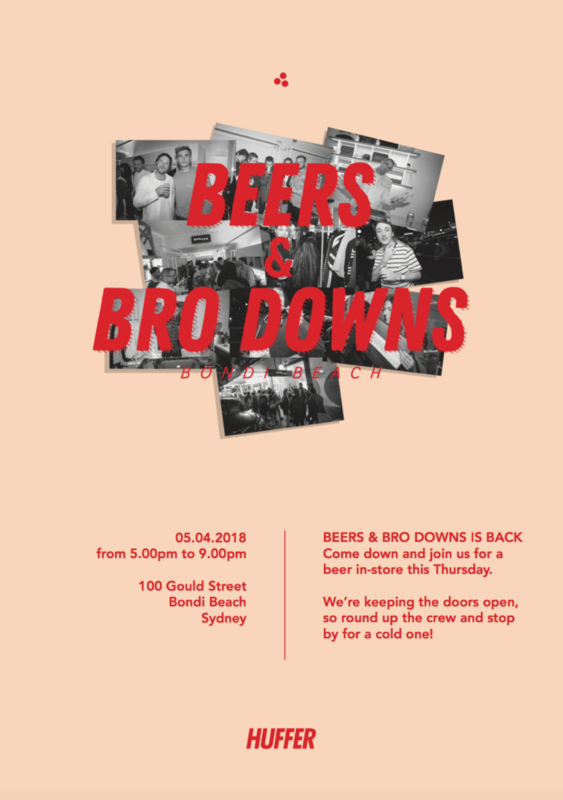 Streetwear lords Huffer have got your back yet again as they provide the party for another edition of Beers & Brow-Downs and this time it’s all going happening at their Bondi store. Sounds good right? Though it’s yet to be scientifically proven, we all know that nothing brings the weekend on more quickly than cheeky mid-week beers. Don’t ask us how, don’t ask why. Just meet us at Huffer Bondi this Thursday from 5pm and we can chat about it then. There’s plenty for everyone so don’t dog your mates!